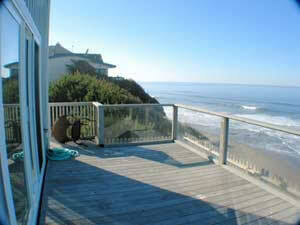 (Oregon Coast) - This is the way to relax on these shores. 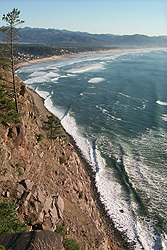 This is what the Oregon coast used to be about - and the way it should be. These tiny towns are sometimes overlooked in favor of larger cities where more amenities are close at hand - or a quick drive away. 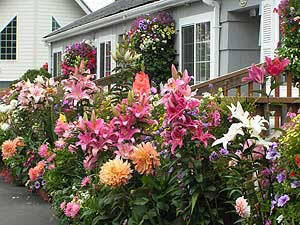 But there are numerous neighborhoods or villages that somehow sum up what an Oregon coast trip should be all about. Forget the glitz, the chain stores, the fast food and the touristy sections of town. There is a certain eternal charm to the roadways of 101 less traveled. 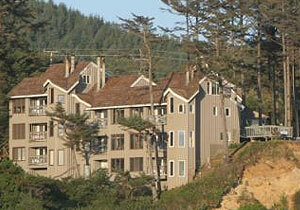 About halfway between Florence and Newport, the tiny town of Yachats features dramatic views in endless abundance. Its beaches are primarily rocky slabs and shelves, jagged and pointy in many spots, with crevices and blowholes, all interspersed with tiny spots of sandy beaches comprised of rather large, coarse grains. In back of "downtown" lays the large beach access, with an enormous parking lot and some concrete spots close to the surf - perfect for a picnic by the raging seas of this extraordinary area. 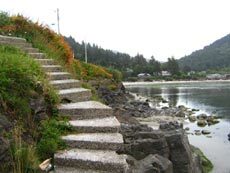 The street follows the shoreline for several blocks, with the occasional bench on a perch and beach access. If you decide to walk about the town, shop the funky boutiques on 101, or check out attractions like the bay, or the Little Log Church, found on Third Street. Later, enjoy delectable eateries like the fine dining of the amazing La Serre and its garden-like atmosphere (2nd & Beach, 541-547-3420), and the taste bud-launching seafood and astounding Italian cuisine of the Landmark Restaurant and Lounge (Hwy 101, 541-547-5459). Once upon a time, Newport was more of a lumber and port town, comprised mostly of businesses along the Bayfront. 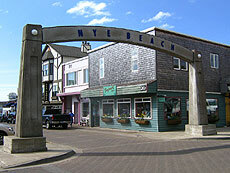 The neighborhood now known as Nye Beach was then a separate resort town, known as the "Honeymoon Capitol of the World," and connected only to the Bayfront area by wooden planks and mud. These days, Nye Beach has retained its Victorian era charm and vibe, with a load of restaurants and hotels keeping their old style looks and atmosphere. The streets themselves were revamped recently to acquire a 19th century look with a modern slant. Take some time to walk this insanely delightful collection of tiny streets overlooking the beach and you'll find gems like the Sylvia Beach Hotel, with rooms decorated in themes from different authors. There's the Hemmingway Room, with a safari theme and other elements of his life represented. Or there's the Dr. Suess Room, where various characters from the authors' surreal imagination are staying with you as well. The hotel also includes a fanciful and fantastic restaurant. 267 NW Cliff St. 888-795-8422. Stroll the streets bit more - soaking up the atmosphere that's part American, part Old Europe - to find shopping opportunities like Nye Beach Book House (727 NW 3rd Street - 541 265-6840) or the interesting clothing of Toujours Boutique (704 NW Beach Dr., 541-574-6404). Eat Italian and Mediterranean at April's At Nye Beach (541-265-6855), absorb art at two galleries or simply take in the sights of the surf from the Turnaround. The area of town that boasts the enormous Haystack Rock is a bit like a hidden spot in the middle of one the most popular coastal towns in Oregon. There, the gargantuan Stephanie Inn resort (800-633-3466) seems to guard Haystack and its smaller companions, with the main access to the rocks nearby. But other, smaller accesses lurk at the end of various tiny neighborhood streets, all of which are surrounded by big, fluffy dunes that are perfect for lounging on. For a pleasant stroll in any weather, walk this part of Hemlock and catch some beautiful architectural examples. One distinct charmer is Newman's at 988 (988 Hemlock, 503-436-1151, www.newmansat988.com), where you can supp on intriguing takes on Euro cuisine mixed with a shimmering NW slant. Nearby, there's the ever-popular Dooger's Seafood & Grill (1371 S. Hemlock, 503-436-2225), and the upscale yet funky and family friendly Warren House Pub (3301 S. Hemlock, 503-436-1130). 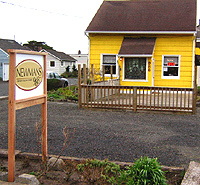 A secret artists' haven, dining in front of incredible bay views and loads of funky secrets are just part of the fun in this whimsical, captivating burgh on the Nehalem Bay. In the space of only two blocks, this tiny place manages to pack more fun in than most. Walk the atmospheric sidewalks and fall in love with its quaint, old buildings and unusual shops. 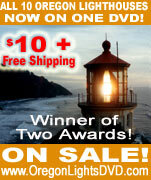 Ekahni Books (503-368-6881) features an interesting mix of used, new and rare books and local items with a coastal slant. Above it, Old Wheeler Hotel provides a lovely little place to stay, with incredible views of the bay and charming to the hilt. 1-800-4-theview). Around the corner, Gregory Street is sort of the center for the hidden artists haven known as Artisans Row which hosts a few other art galleries and studios not obvious to the untrained eye. You have to explore. 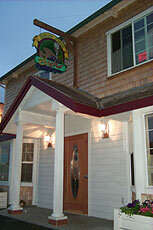 Down on the bay, the Sea Shack Seafood Restaurant & Lounge (503-368-7897) provides plenty of atmosphere and great food. 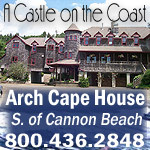 At night, it's one of the big hotspots for the entire Nehalem Bay area. This town at the beginning of the Three Capes Tour provides incredible beach opportunities with miles and miles of sand and the enormous, wind-carved splendor of Cape Kiwanda. But if the ability to dart in and out of inclement weather while still taking in incredible views is what tugs at you, then stroll along the shops in the Inn at Cape Kiwanda. There, bookstores, galleries, a beauty shop and a coffee shop are all located within ogling distance of the beauty and drama of the beach. Continue the lush experience at the Delicate Palate Bistro, Pacific City's most high-end eatery. It's a bit of old Europe in the midst of the Oregon coast. 3520 Brooten Road. (503) 965-6464. A bit inland, Brooten Road provides various shopping and dining pleasures. Two that stand out are the stunning Beppu Gallery (503-965-6911) - which sits in the middle of several other brightly painted boutiques. There are also some interesting, funky dive bars at this end of town, which provide some unique nightlife amusement for the more lionhearted explorer. A myriad of docks, old buildings - often gussied up in funky colors - and a nifty variety of businesses inhabit Florence's Old Town. Eat, shop, go nightclubbing later at night and then take in breakfast and plenty of espresso the morning after. Clothing shops, kite sellers, book stores, art galleries, gift shops and all sorts of goodies fill this atmospheric and somewhat unforgettable old-times vibe area of Florence. Check out Bonjour! Boutique (541-997-8194) and its eclectic array of lady's clothing from other lands. Or chow down at the new and stunning Tavolo Restaurant and Lounge at the Sandpine Golf Links (541-997-4623). A highlight is Gazebo Park, which features a cozy little gazebo and a small dock on the river - perfect for a romantic moment or nocturnal walk through Old Town. Plenty of daylight fun can be had wandering the riverfront and its abundance of old pilings, as well as exploring the area beneath the famous Siuslaw River Bridge.